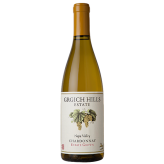 Grgich Hills Cellar, located in Rutherford, in the middle of beautiful Napa Valley, was founded in 1977 through the efforts of Miljenko “Mike” Grgich and Austin E. Hills of the Hills Brothers coffee family. Grgich had first drawn worldwide attention in 1976 as a result of the famous “Paris Tasting” in which an all-French panel of judges chose his 1973 Chateau Montelena Chardonnay over the best of the white Burgundies in a blind tasting. Grgich had the skill and expertise to make great wines and Hills, owner of established vineyards, had a background in business and finance. Over the last 40 years, the winery has continued the tradition of making wines that earn countless awards and international recognition. 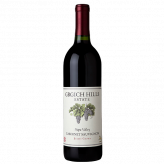 Always the innovators and industry leaders, the Grgich vineyards are Certified Organic and farmed biodynamically. This set of holistic farming practice uses the earth’s natural cycles and organic preparations to grow balanced, healthy vines without artificial fertilizers, pesticides or fungicides. In 2006, the winery was retrofitted to use only solar power.